Black Panther and Did You Wonder Who Fired the Gun? Wakanda! Land of pastoral futurism, where herdsmen wave cheerfully at spaceships zooming above the umbrella-thorn acacias, and earth-toned skyscrapers rise from the savanna like David Adjaye versions of the Watts Towers. Wakanda! Rich and peaceful land of unbroken spiritual traditions and ancient African high tech, kept secure by its invisible force-field border and the self-satisfied ignorance of white colonialists. Here, cleverly concealed across the ocean, is the dream of so many African Americans: a beautiful homeland of wise kings, strong women warriors, and market streets that are at once charmingly old-fashioned and bustlingly hypermodern—much like the ones in Blade Runner, you’d think, except for being sunny, well-kept, and frequented exclusively by black people. Several generations of Marvel comic books featuring Wakanda and its superhero king T’Challa have now given rise to the Disney release Black Panther, the most recent pop movie that is said to have Changed Everything. To the studio marketers, op-ed writers, and puff-piece journalists who have been making this claim, it’s all a matter of positive images and relatable characters. Except for Will Smith in Hancock, and Samuel L. Jackson as Frozone in The Incredibles, and of course Halle Berry and Anthony Mackie in other Marvel Universe pictures, plus Wesley Snipes in Blade (if you want to press the point) and Robert Townsend in The Meteor Man (which should not be forgotten), there simply have been no black superheroes in the movies. Not enough, anyway, even if you count Muhammad Ali starring as himself in The Greatest and When We Were Kings. Now black audiences have a special-effects blockbuster all their own, set mostly in Africa, which, I admit, is newsworthy—although it’s not the most interesting aspect of Black Panther. What’s really intriguing is the way that an Africanist myth invented in 1966 by two Jewish guys in New York, Stan Lee and Jack Kirby, and later elaborated upon by the likes of Reginald Hudlin and Ta-Nehisi Coates, has now been taken over by Ryan Coogler, the writer-director who previously made the very good social-realist drama Fruitvale Station and the first-rate genre-revisionist Creed. With the help of his co-writer, Joe Robert Cole, Coogler has thought to delve into the deep sorrow implicit in this fantasy: the nagging idea that the Wakandans, those happy people across the ocean, could have rescued America’s Africans but instead abandoned them, leaving them poor, traditionless, and playing basketball on concrete lots. The feelings of loss and envy running through the film—feelings of anger and betrayal as well, which a representative of black America directs squarely at the inhabitants of this imagined homeland—add a level of emotional complexity to Black Panther beyond anything you might reasonably have expected. Certainly you couldn’t have predicted this trait as easily as the standard-issue plot (the usual stuff about smugglers, superspies, and madmen bent on revenge), let alone the checklist of fistfights, spear fights, gunfights, chase scenes, and scenery-wrecking battles. Coogler has met these requirements in full and then some; but also, astonishingly, he has brought an identifiable personal touch to the film, despite its zillion-dollar budget and obligatory cameo appearance by Lee. The signs of Coogler’s authorship are his true homeland, Oakland (the setting of several key scenes), and his signature actor, Michael B. Jordan, cast as a mysterious but unmistakably dangerous adventurer who gradually snakes his way toward Wakanda, bringing a headful of finger dreads and a “Wussup?” vocabulary into the African Eden. Functionally, Jordan’s character is a very bad guy, posited as the opposite of Chadwick Boseman’s very good T’Challa/Black Panther. One swaggers, schemes, rages, and drawls with the voice of urban America; the other strides, pursues wisdom, practices benevolence, and (like the other Wakandans) speaks in the kind of lilting, accented English you might call soundstage Swahili. Boseman is a wonderful actor who brings an innate grace and sympathy to T’Challa, even when rolling around in his superhero outfit. But his extraordinary range, which has enabled him to play Jackie Robinson in one movie and James Brown in the next, has been put to little use in Black Panther, where he runs the gamut from dignified to resolute. Jordan, as Erik Killmonger, is the one who gets to show off how much he can do—and despite being cast as a villain, he’s the one who, in his pain and isolation, owns Coogler’s heart. Coogler is clever in playing out the reasons behind that sense of abandonment. At first, while T’Challa ascends the throne of Wakanda and resolves some clannish restiveness, Killmonger proceeds on a parallel track in movie-criminal mode. He seems like your usual trader in expensive and dangerous goods, except for combining a ready store of information about colonialism with a willingness to work with a white South African. 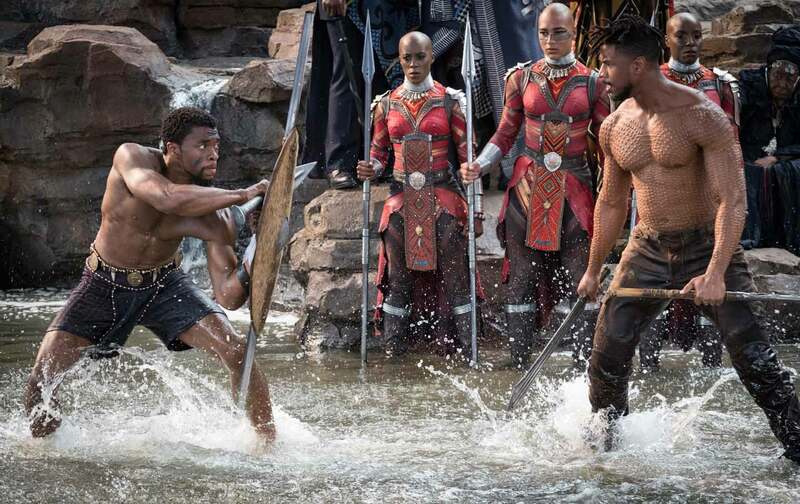 It’s only after T’Challa and his team undertake a mission against the monstrous Boer that Killmonger and the Black Panther begin to converge—and, still later, when the two men come face to face in open conflict, that Coogler reveals secrets, laying bare the violence in one and the need for moral reassessment in the other. If Black Panther were to seek therapy to resolve this inner conflict, the presenting symptom might be a repetition compulsion: The movie keeps looping back on itself, showing multiple versions of an initiation scene, a ritual combat, and (most telling of all) scenes of the deaths of fathers. These feel like more than mere folds in the narrative, put there to explain or deepen what you’ve already seen. It’s more as if Black Panther can’t work through the problems it’s posed and so has to keep revisiting them. These repetitions slow the movie and weigh it down—though not as much as the big shoot-’em-up in a casino (yes, another of those) and the episodes of hand-to-hand combat, dimly lit and jerkily edited to disguise the absence of anyone remotely like Jackie Chan. Fortunately, there’s so much to dazzle the eye—from towering waterfalls and mammoth CGI rhinoceroses to glowing underground industrial installations and neo-Constructivist furnishings—that Coogler bears you along. (The production design is by Hannah Beachler, the cinematography by Rachel Morrison.) A little more humor would also have helped, but the job of supplying it has fallen almost exclusively to the delightful Letitia Wright as Wakanda’s Princess Shuri, a cross between a cheeky little sister and James Bond’s armorer, Q. She lightens the proceedings whenever she’s on camera. When she’s not, the best you get is some mild amusement at the way T’Challa makes goo-goo eyes at Nakia, the undercover agent and love interest played by Lupita Nyong’o. Outwardly, Black Panther matches Nyong’o for beauty, and also for her slightly too solemn determination as an actress to play and win by the rules. (The Africanist superhero blockbuster has to be twice as good to earn half the money.) Inwardly, Black Panther surprises with themes and emotions that might escape the attention of action fans but are present all the same. It’s fun, in that heavy blockbuster way. But it’s also notable as the first Disney release to come out explicitly against a program for global race war—or to admit that a character could argue for that program seriously. Race war—the actually existing version of it still practiced in the United States—is the subject of Travis Wilkerson’s experimental, investigative documentary Did You Wonder Who Fired the Gun? A proudly oppositional no-budget veteran, Wilkerson is so determined in this new movie to intervene against white-on-black violence that he’s tried to punch through the screen. For the initial presentations of Did You Wonder Who Fired the Gun? (including its 2017 premiere at the Sundance festival), he went back to one of the oldest practices in cinema and delivered a live narration. You won’t have him in the room during the theatrical release, which is beginning its rollout at Film Forum in New York. The print now features a standard voice-over, spoken in Wilkerson’s deep, solemn tones. But the movie’s “I” emphatically remains the filmmaker himself; the “you” being addressed is still you, the viewer; and the materials that are shuffled and scrambled and questioned throughout the proceedings—from home movies and a worn newspaper clipping to interviews, snatches of songs, and fragments of To Kill a Mockingbird—set loose a personal, familial, national murder story that Wilkerson hasn’t the slightest desire to contain within a frame. Told briefly, Did You Wonder Who Fired the Gun? is an account of a white man getting away with murdering a black one. On that fatal day in October 1946, in the town of Dothan, Alabama, 46-year-old Bill Spann walked into Branch’s Grocery and somehow had words with the proprietor, Samuel Edwin Branch, Wilkerson’s great-grandfather. Great-Grandpa ended the discussion by shooting Spann dead with a .32 pistol. When Wilkerson finally resolved to investigate this dreadful piece of family history—it was after the verdict in the Trayvon Martin case—his mother supplied him with a contemporaneous newspaper article confirming that Branch had been charged with first-degree murder. 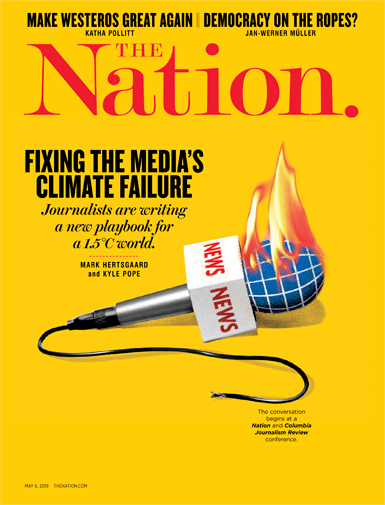 But even though Wilkerson succeeded in retrieving Spann’s death certificate—which he reads aloud, in painful detail, over excerpts from his family’s home movies—his search through the courthouse archives turned up no record of an indictment. The case simply vanished—like Spann’s corpse, which was taken to Louisville, about 45 miles from Dothan, and buried in an unmarked grave. S.E. Branch, however, is memorialized in his hometown: The cemetery is no more than an unsheltered triangle within spitting distance of the main road, but Branch lies under the family headstone. He lived until 1970—long enough that Wilkerson can show you a photo of himself as a baby cheek by jowl with his killer great-grandfather. That baby picture is about all you see of Wilkerson, who prefers not to show himself while conducting interviews and pursuing truth. To present such images would be to give himself an aura of heroism, and so to deny the terror that was a predominant note of his expedition back home. The record of his visit to the nearby Klan stronghold of Cottonwood, for instance, consists mostly of brooding shots of trees—their past use was much on his mind, and he didn’t expect the people would want to be filmed—followed by a view of the two-lane blacktop along which he fled after two boys approached him, called him by name, and instructed him to wait because some people were coming to see him. The image of the valiant documentarian would also have been at odds with the multiple failures Wilkerson acknowledges in his voice-over. His inquiries consistently hit a dead end whenever he approached white people, none of whom seemed to have any idea what he was talking about. Black people were more forthcoming, but they often preferred to speak with him anonymously and could shed no light on the last moments of Bill Spann’s life. The exception was Ed Vaughn, a retired public servant and activist, whose home museum of African-American history is the subject of an extended visit by Wilkerson. Vaughn, too, had no information about Spann’s death, but he testified that two other people were murdered in Branch’s Grocery. Knowing this much, a different filmmaker might have set about structuring his story as a personal journey into his family’s history. Wilkerson resists the impulse. In the first place, as he’s at pains to note, two families were involved here, one of which he’s unable to record because the other wiped it from the world. In the second place, if Wilkerson were to concentrate on his family’s history, he’d narrow the focus of the film, when what he wants is to stretch it to the horizon. Which he does, without having to go to unusual efforts. A request to speak with his aunt Jean—the sort of inquiry any filmmaker would routinely log—leads directly to rifle salutes and battle games, since this aunt is a member of the forthrightly racist and proudly secessionist League of the South. A visit to a League ceremony in Verbena provides Wilkerson with another creepy scene that makes him want to run, and confirms that his family’s images are mere shards in the pointillist explosion of American life. And despite having an eye like Walker Evans’s—witness the somber, still images of dilapidated houses, churches, food shacks, and deserted Main Streets that multiply throughout the film—Wilkerson isn’t interested in capturing a stable picture of this life. He wants to latch on to the blast itself, and ride along with the forces in it that he would call justice. That’s why he begins and ends with the shouts of “Hell You Talmbout,” Janelle Monáe’s roll call of murdered African Americans, to which he adds the name of Bill Spann. That’s also why he talks early on about the falseness of Atticus Finch’s heroism in To Kill a Mockingbird (Harper Lee’s Monroeville is about 100 miles from Dothan) and finishes by speaking about the exposure of Finch’s racism in Lee’s long-unpublished Go Set a Watchman. Wilkerson sees his film, no less than his family, as caught up with these cultural artifacts in the continuing movement of history—a history in which you might decide to be a liberal (if you’re content to congratulate yourself) or, as a better choice, a radical. That said, the country road that Wilkerson drives in Did You Wonder Who Fired the Gun? keeps winding on. You see it early in the film, and you see it late. Despite changes for the better, we’re all still on it—and the way Wilkerson colorizes the image, we might as well be traveling through Mars on a bad day.